Meanwhile, the SEC fined an infant formula maker for bribing Chinese hospital workers. Among recent enforcement actions, the Financial Industry Regulatory Authority censured and fined Morgan Stanley & Co. and Morgan Stanley Smith Barney LLC on supervisory failures regarding tax-exempt municipal bonds, and Stock USA Execution Services, Inc. on two separate issues. In addition, the Securities and Exchange Commission announced a $12 million settlement with Mead Johnson Nutrition, maker of the infant formula Enfamil, for bribing Chinese hospital workers. FINRA censured Morgan Stanley & Co. LLC and Morgan Stanley Smith Barney LLC (dba Morgan Stanley). 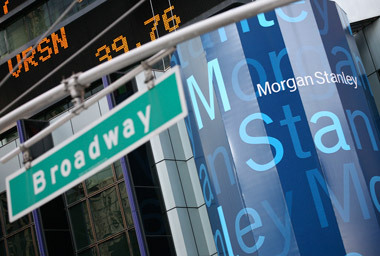 Morgan Stanley was fined $675,000, of which $124,406.93 was imposed jointly and severally with Morgan Stanley & Co. LLC. According to the agency, the firms’ supervisory procedures didn’t account for short positions in tax-exempt municipal bonds that resulted primarily from trading errors at the firms’ retail branches. Those failures resulted in the firms inaccurately representing to at least 1,500 customers that at least $880,000 in interest that the firms paid to those customers was exempt from taxation. The firms, however, did not hold the bonds on behalf of the customers; the interest paid to those customers came from the firms, and was therefore taxable as ordinary income. That caused an underpayment of at least $358,000 in federal income taxes. At one point, the firms recognized that short positions were not being covered in a timely fashion. But they did not provide adequate guidance or oversight on how and when the municipal short positions should be covered. The problem was magnified thanks to the difficulty of covering these positions because of the market structure and illiquidity of municipal bonds. As a result, municipal short positions were not covered for a month or more, and some were not covered for years. FINRA also found that the customers’ account statements inaccurately said that they were receiving tax-exempt income. The firms neither admitted nor denied the findings, but consented to the sanctions. The SEC has announced that Meade Johnson Nutrition Co., the maker of Enfamil, has agreed to settle charges that it violated the Foreign Corrupt Practices Act (FCPA). According to the agency, the firm’s Chinese subsidiary made improper payments to health care professionals at government-owned hospitals to recommend the company’s infant formula to patients who were new or expectant mothers. Employees funded the improper payments through “distributor allowance” funds paid to third-party distributors who market, sell, and distribute the company’s products in China. Although the funds contractually belonged to the distributors, employees exercised some control over how the money was spent and provided specific guidance to distributors on how to use the funds. Cash and other incentives were subsequently paid to health care professionals in China hospitals to recommend Mead Johnson Nutrition products and provide the company with contact information for patients who were new or expectant mothers so it could market its infant formula to them directly. The company did not accurately reflect in its books and records the more than $2 million in improper payments made during a five-year period. The company consented to the order without admitting or denying the findings and agreed to pay $7.77 million in disgorgement, $1.26 million in prejudgment interest and a $3 million penalty. FINRA censured Stock USA Execution Services Inc. in two separate instances, assessing a fine of $200,000 in the first and $85,000 in the second after it found supervision, surveillance, and recordkeeping violations and deficiencies related to anti-money laundering (AML) requirements in the first case and failure to preserve certain order memoranda, account statements, customer confirmations, and/or other books and records in the second. According to the agency, in the first case, the firm failed to establish adequate AML policies and procedures to detect, investigate and report possible suspicious activity while it was engaged in an extensive direct market access (DMA) online-brokerage business. Even though FINRA queried it numerous times over thousands of instances of potential manipulative trading activity in certain customer accounts, the firm took no meaningful steps to find possible manipulative activity by its DMA customers. Instead, it continued to rely on its manual-based real-time monitoring of order/trade activity. But the high-volume electronic trading environment of its DMA business meant none of those measures were effective, and they were not meant to be used in such an environment. The firm’s customers included domestic and foreign individuals and entities, including foreign financial institutions (FFIs). Customers could directly enter, modify and cancel orders, route orders to a specific market center and monitor order status in real time. The firm permitted its FFI customers to extend their trading access to their own clients, and even facilitated this by allowing FFI customers to maintain master/subaccount and omnibus account structures at the firm, despite the regulatory risks that presented. It never conducted periodic reviews or look for suspicious activity in FFI accounts, nor did it implement procedures to restrict access to market-access systems to specifically authorized persons. Post-trade execution reports were inadequate to detect manipulative trading activity and the firm failed to record all orders entered through the third-party trading platform, instead relying on the platform owner to do so. In the second case, the firm failed to preserve some order activity file records on open orders generated by specified order management systems for three of its four order management systems. It also failed to show the correct entry time and/or execution time on memoranda of brokerage orders; failed to denote on order memoranda that the order was a directed order; failed to denote the correct order entry times, cancellation times and/or routing venues on order memoranda; and failed to show accurate time notations on order memoranda. In addition, it failed to designate whether orders were short or long sales or short exempt, incorrectly marked long sales as a short sales, and incorrectly marked short sales as long sales. Order audit trail system (OATS) reports were inaccurate, incomplete or improperly formatted; reportable order events (ROEs) were not transmitted; orders were accepted from customers and executed in whole or in part in the premarket or postmarket session without customers being notified that extended hours trading involves material trading risks; and other failures also occurred. The firm neither admitted nor denied the findings, but consented to the sanctions in both instances. — Check out Top 5 Fastest Growing Consumer Complaints on ThinkAdvisor.